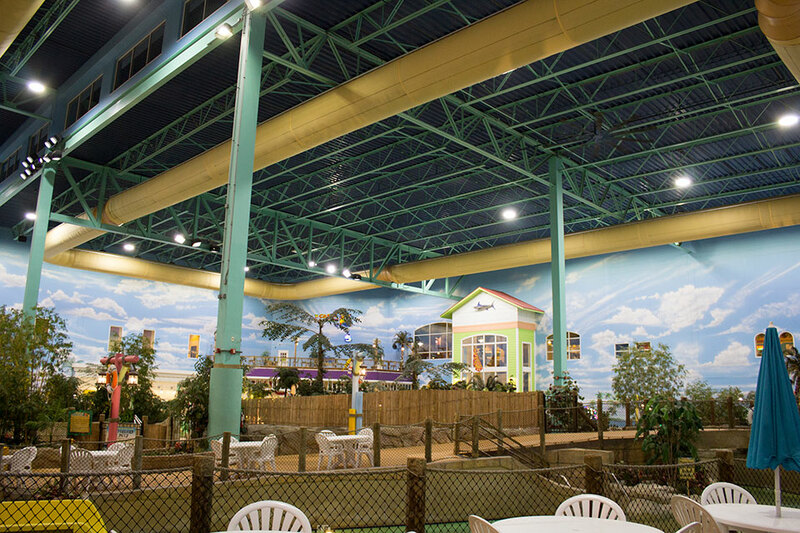 Key Lime Cove is a wonderful getaway spot for families. 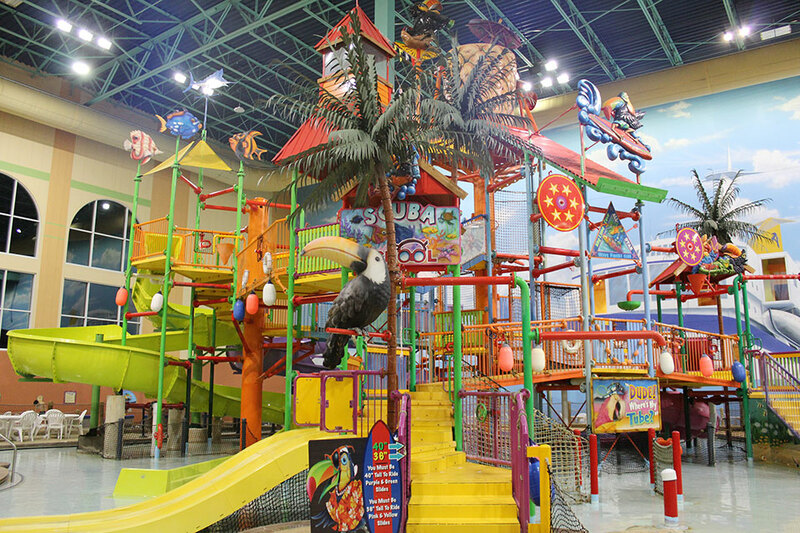 They have a fantastic indoor waterpark which is open year round. 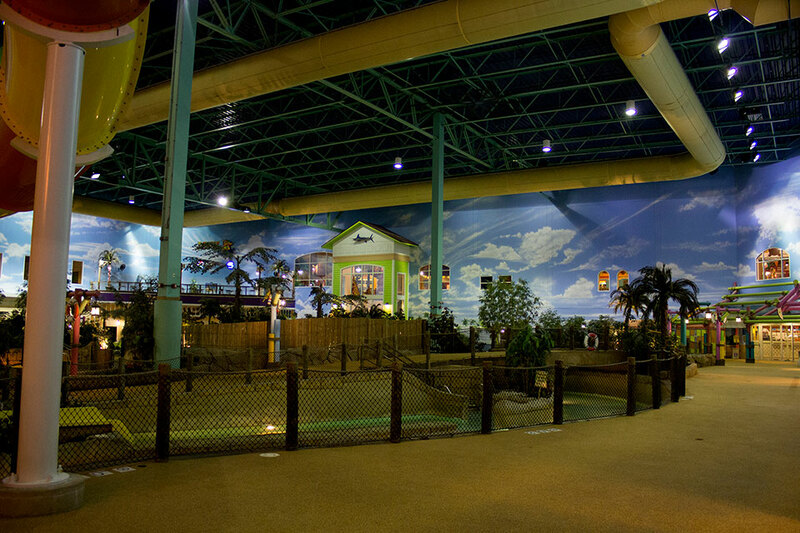 The owners wanted to give the indoor water park a boost with new LED lighting. 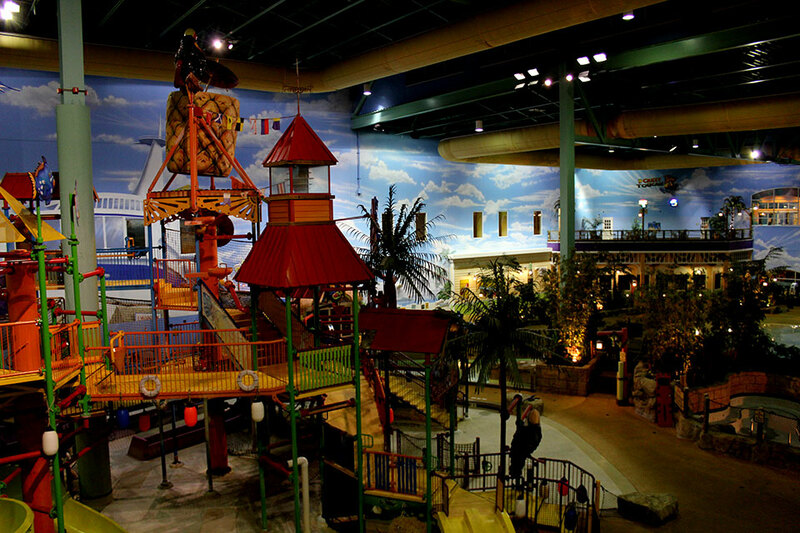 Before we did the upgrade, there were low light levels throughout the waterpark. It made it hard for employees to see across the park and help keep it clean. Working with the distributor, electricians, and owners of the facility, we came up with a solid solution for them. They had 91 flood light fixtures which housed a 400 watt metal halide lamp. 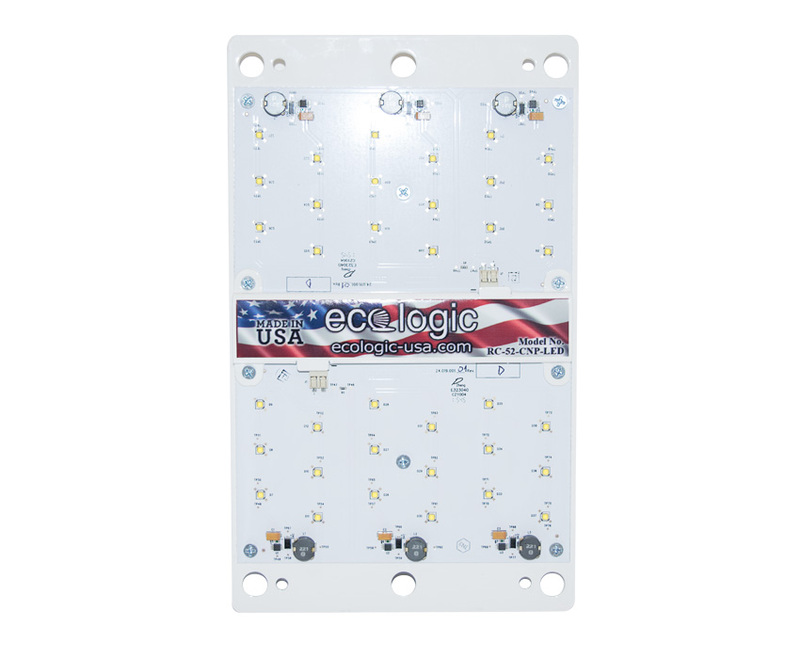 The electricians installed our RC-52 LED upgrade kits in place of the 400 watt metal halide lamps. There were also 24 highbay 400 watt metal halide fixtures through the middle of the park. 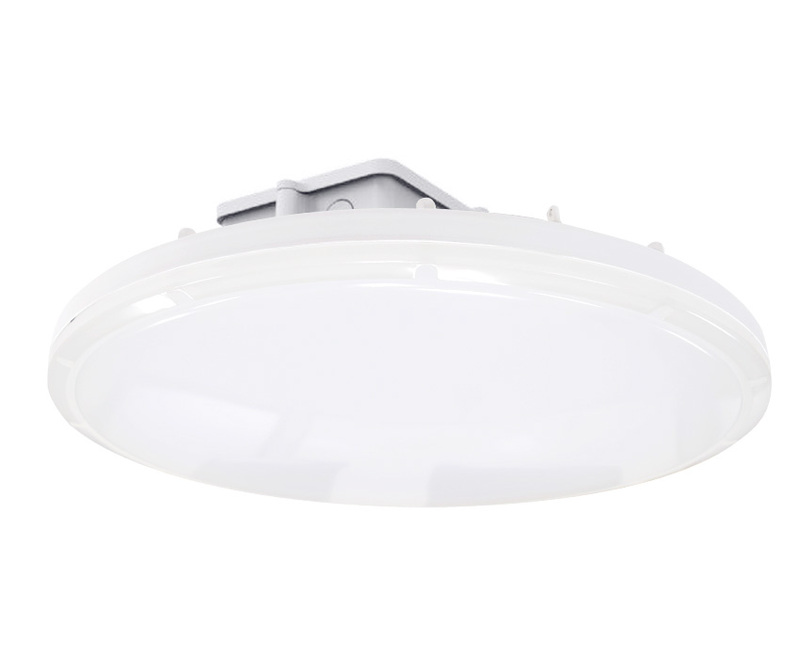 Those were replaced by our 230 watt LED Phoenix highbay. By completing this lighting upgrade, the park had a fresh new atmosphere. The visibility improved, providing a safer and cleaner atmosphere. Also, the high CRI from the fixtures made all of the features in the water park appear more vibrant. In total, we lowered their overall wattage by 41,249 watts. At $.08 per kWh and running them 12 hours a day, they will save $14,453.65 per year with this lighting upgrade.